Paul Pogba’s post-Mourinho form has continued to get better and for a second successive league game the Frenchman scored a brace and set up another as Man United obliterated Bournemouth 4-1 at Old Trafford on Sunday. Pogba, who was criticized for alleged sabotage during Mourinho’s reign, punctuated the great showing with his infectious dance celebrations which always set the Twittersphere a blaze. “That today is a top, top performance for the midfielder, because it was all round,” said interim Man United manager Ole Gunner Solskjaer. “It’s work rate, it’s dangerous in the box, he wins headers, he wins tackles and there is no showboating. It’s touch, pass, move and he plays the efficient game, and Paul know he’s at his best when he plays that game,” Solskjaer added. Pogba opened scoring in the 5th minute with a tap in, added a header in the 33rd minute before Rashford Marcus and substitute Romelu Lukaku completed the rout with a goal each. Pogba has impressed in all three past contests – across which the Red Devils have scored 12 times – having been restored to the starting line up by Solskjaer. It started with a 5-1 win at Cardiff followed by 3-1 victory over Huddersfield and the 4-1 success over Bournemouth. 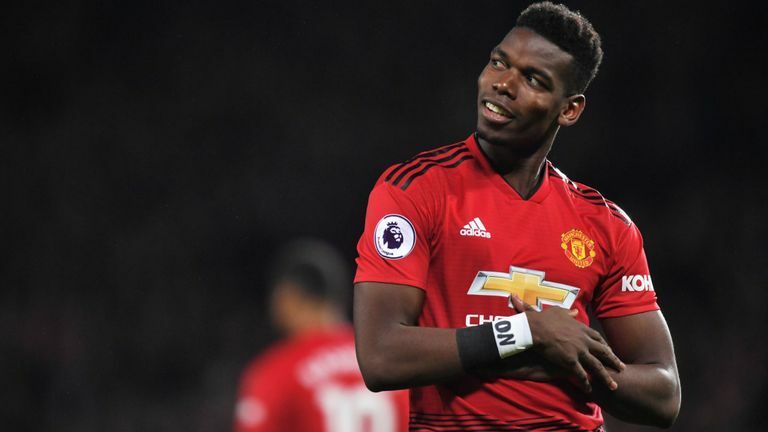 Overall, Pogba has been the best performer since the arrival of Solskjaer and according to the Sun UK, he has scored the most goals, had the most assists, most shots, most shots on target, most touches and created more chances and definitely best dance moves.